We are please to announced our annual magic show “Tricks at the Tryst” will be on May 20th! 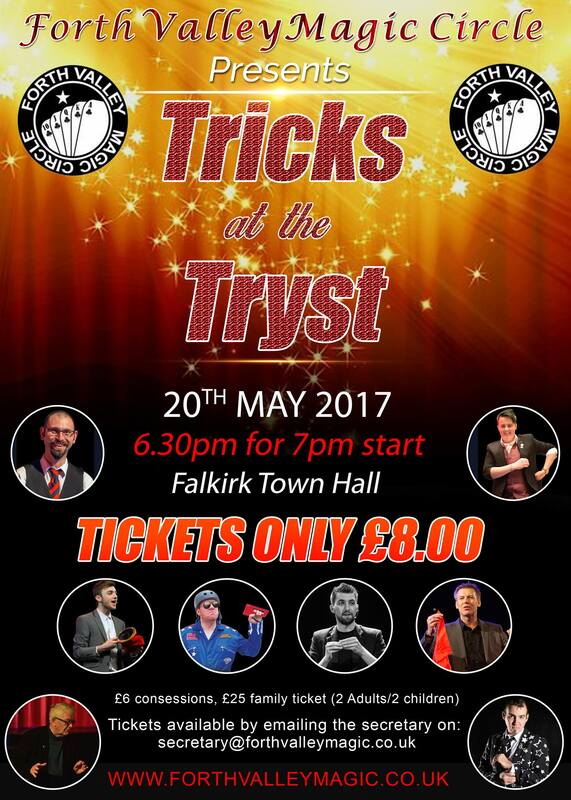 This is a fantastic evening of magic at Falkirk Town Hall that all the family can enjoy. We have lined up loads of talented magicians performing on stage and coming around the tables to entertain and dazzle you. Tickets are now available from Falkirk Town Hall or by clicking on the poster. Alternatively, you can talk to a member of the club as they will be able to arrange tickets for you.